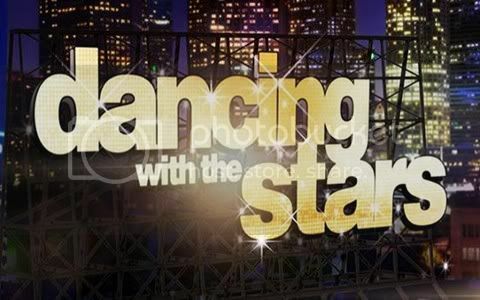 Quick Take: Dancing With the Stars 14 "Week 9 Results"
Review: Dancing With the Stars 14 "Week 9 Results"
(S1418) Tuesday night's results show was performance-packed, with an encore of William and Cheryl's perfect samba kicking off the evening. Soon after the eliminations began with Katherine and Mark, and while Katherine may have had a slip up on Monday night it didn't hold them back from advancing to the finals. Thankfully the injury she incurred will not bar her from competing next week. The Macy's Design of Dance, which is voted on by fans, was finally revealed. Professional dancers Chelsie and Tristan performed the samba to Beyonce's "End of Time." Alanis Morissette is back and Tuesday night she performed her new single "Guardian." I must say she sounds exactly the same as she did in the late 1990s. Her new album, which will be released late this summer, is her first since 2008. In anticipation of the new movie "Rock of Ages," based on the Broadway musical, its stars Julianne Hough, Diego Boneta and Mary J. Blige performed a few songs from the movie. The best part of the performance was Mary J. Blige. After watching this performance I'm happy I got the opportunity to see the show on Broadway. Somehow I don't think this move is going to do it justice. And finally, Carrie Underwood performed her new single "Good Girl." Back to eliminations... William and Cheryl were told they were safe so it was down to Maria and Derek - who learned earlier in the show that they were in jeopardy - and Donald and Peta. While Maria and Derek were number one among the judges on Monday night they were not number one when it came to the fans voting and fell short of making it to the finals. With Katherine and Mark, Donald and Peta and William and Cheryl headed to the finals it's sure to be an exciting finale to a season that has been full of great performances.